Played in four games, all starts at the center position, for the Noles during his redshirt sophomore campaign…missed the first three games of the season due to an injury…first start of the season came at Wake Forest – the first of four consecutive starts…was under center for two of Dalvin Cook’s 150+ yard rushing performances – 222 yards and two touchdowns vs. Miami and 163 yards and two touchdowns vs. Louisville…helped pave the way for Cook’s longest run of the season – a 94-yard touchdown run right up the gap at Wake Forest…helped pace a Florida State offense that tallied over 500 yards of total offense in back-to-back games – vs. Miami (539 yards) and vs. Louisville (510 yards) – both wins for the Seminoles…presented with the Schmauch Academic Award following the 2016 spring season. Stepped into the lineup at center for the Seminoles because of injuries and helped lead FSU to a 4-0 record in his starts, including wins over then-No. 5 Notre Dame and a 21-point comeback victory at Louisville…appeared in seven games…had a formidable average grade of 70 in his four starts with a season-best grade of 80 against the Cardinals…named to the All-ACC Academic Football Team. Valuable member of scout team during redshirt season. 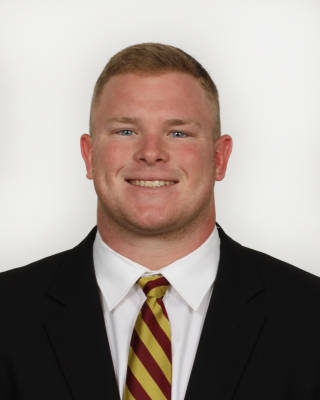 A physically mature player who is a natural center, where he played for Brother Martin in New Orleans, La…held a three-star ranking from ESPN, Rivals, 247Sports, Scout and PrepStar…was widely considered among the top 10 center prospects nationally in the 2013 recruiting class…camped at Florida State in summer of 2012 and connected with the coaching staff right away…chose the Seminoles over Arizona and TCU, among other offers…born May 16, 1994…majoring in sport management…two-time All-ACC Academic Football Team member.